The Caretaker's Lodge was built in 1869 to become the residence of the Superintendent of the Glendale Cemetery and his family. For many years it served that purpose. As the duties of the Superintendent of the cemetery changed hands, so did the residency of the Caretaker's Lodge. In the more recent years, the occupancy of the Lodge has changed to both residence and business. The second floor is rented as an apartment, while the first floor, while it was once used as an office space, is primarily used as storage for the office of the Glendale Cemetery. Little was done to improve the natural beauty of Glendale until after the end of Civil War. Until then, the Akron Rural Cemetery had no real groundskeeper, but did employ a Superintendent who received $1.50 for digging and filling a lot no less than five feet deep. 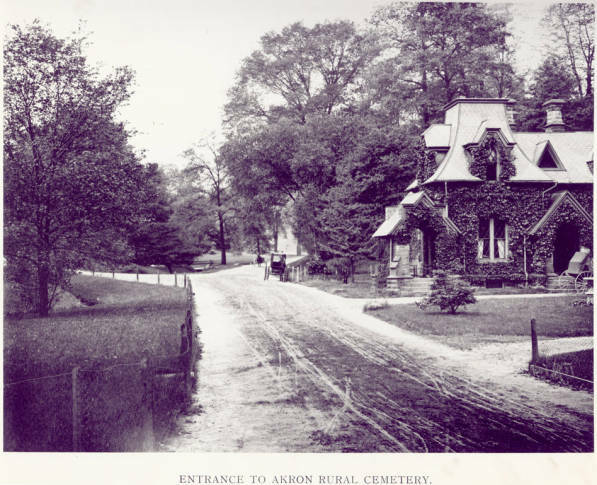 After the Civil War, many ladies of Akron who cared for the sick and wounded during the war, thought that the home resting place of their loved ones needed better care and protection. One such lady was Mary I. T. Evans. Mary T. Evans was the daughter of Judge George Tod of Youngstown and the sister of Mrs. Grace Perkins, wife of Col. Simon Perkins. She, along with her sister Grace, organized the Ladies Cemetery Association with the idea of erecting a Superintendent's Lodge that would house a full time groundskeeper. In an effort to raise the funds needed, the Association held picnics, celebrations on the grounds, concerts, amateur theatrical performances and even a male beauty contest and raised $20,000 by 1869 to build the Cemetery Lodge. (Incidentally, the prize for being the "handsomest man in town" was awarded to John R. Buchtel). The total fund by April, 1868 was nearly $4,000, which was enough to begin construction on what has since been known as Cemetery Lodge. On May 19, 1868, the Board of Directors appointed Thomas Wills as Superintendent at an annual salary of $1,000. 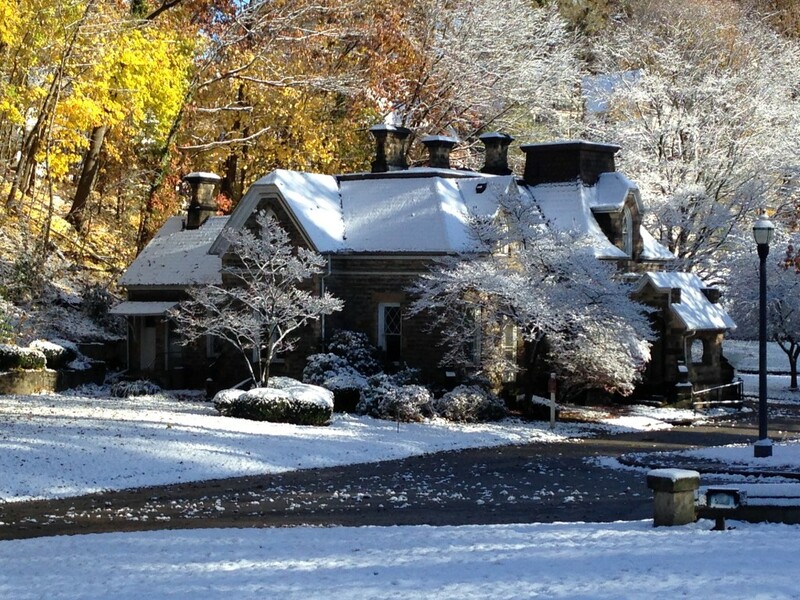 The Lodge, located near the entrance gate at Glendale Avenue, was completed in the Fall of 1869.